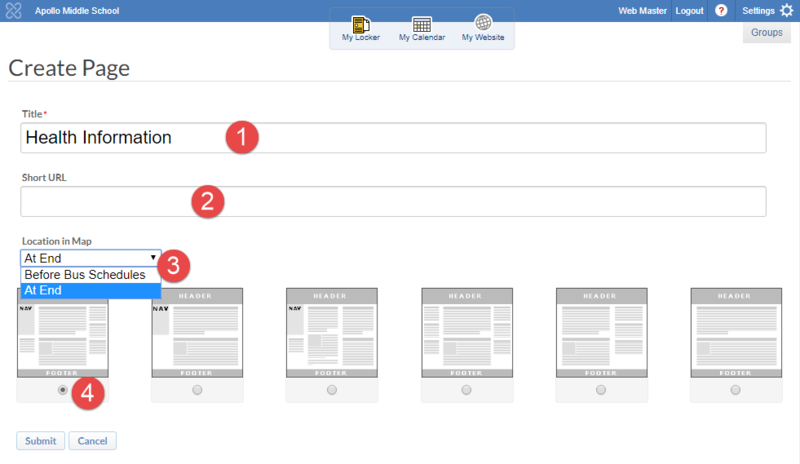 This guide shows how to add pages to the desired section of the site map. Navigate to the Site Center. Select the folder (Minisite or Navigation Header) by clicking once on the site map. Note: If you need to drill down into subfolders, you may click on the folder icon to expand a section or use the small triangles noted below to expand or collapse the entire site map. Click the Add New menu and select Page. Choose where to place the page relative to the contents in that folder. Do not worry about this decision; the pages can easily be reordered later. Select the desired layout. This can also be changed later. You will be routed to the page edit window where you can add modules for your content. The page that you created will be added to the site map under Site Center.